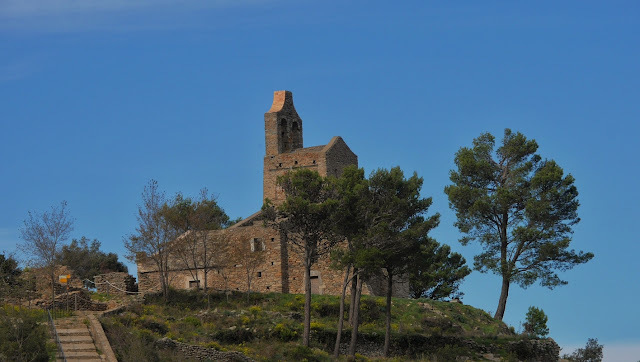 Not far from the big former monastery Sant Peres de Rodes outside Silva at Costa Brava we can find this church ruin: Santa Helena de Rodos. This was the village church for the people who lived up here in the hills and was there mainly to support the big Monestary with all kind of services in Medieval times. On the plain below the hills: The Emporda (a place for trading) people was coming from Greece and Phoenicans as early as the 5th century BC representing the first settlers to this part of the world. Recommend to visit should you be in this region: Gerona/Figueres.